This paper will share highlights of an approach used to target professional development of faculty and staff at one of the largest public, land grant, research-intensive universities in the United States. 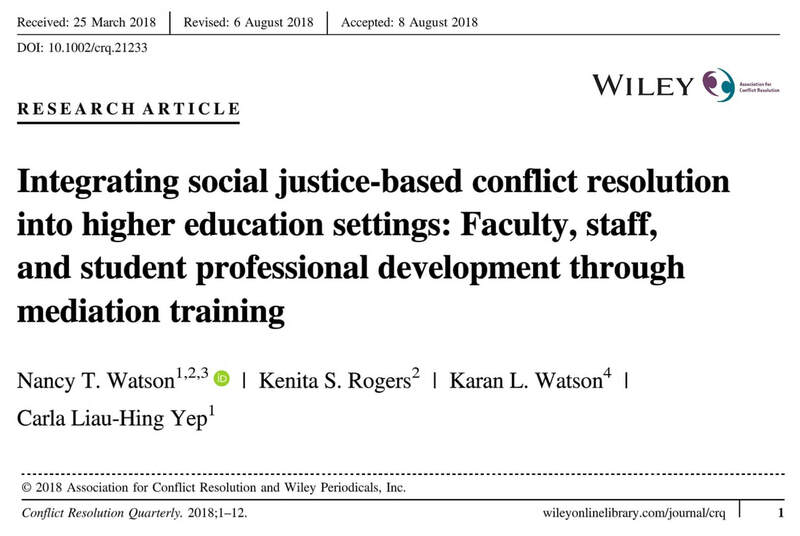 We will share a practical model designed to build individual and organizational capacity by integrating conflict management techniques that are based on social justice principles into higher education settings. This model has been successfully utilized for more than 2,500 faculty, staff, and students (undergraduate and graduate) at the university, and is an ongoing pro-active and responsive strategy in creating a mindful culture and sustaining a cohesive workplace climate. 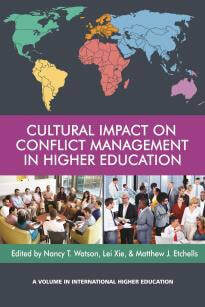 Cultural Impact on Conflict Management in Higher Education shares information regarding conflict management and resolution in higher education from a global perspective. We introduced many conflict resolution methods from different regions in the world. You can borrow some successful strategies and examine the differences and similarities between contexts. 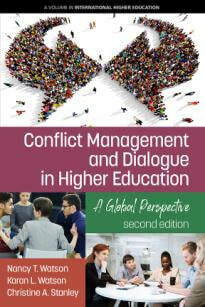 It shares a conflict resolution model which may direct the reader to start thinking about addressing and managing conflicts from different levels of organizations. It is a collective work of authors coming from all over the world. We chose higher education as the context because it is a place where diverse thoughts, perspectives, and people come together.